“Planning is important, but adaptability is essential." Kristine Biscocho is most comfortable when she’s out of her comfort zone. That is to say, she thrives on tackling the unexpected, even if means throwing her original plan away and starting a new one. 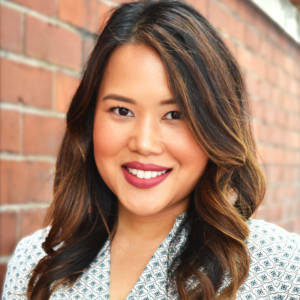 Resilient and infused with a genuine desire to learn, Kristine builds relationships as easily as she builds strategic plans that are laser focused on what’s right for her clients. Kristine has built a career on her ability to effect change, regardless of the industry involved. She has nearly a decade of experience, including serving as a consultant at Accenture, where she led business and technology transformations that spanned from strategy and implementation to everyday operations. Kristine holds a bachelor’s degree in business administration from the University of California at Berkeley. Prescription for life: Follow the Golden Rule: Treat others how you want to be treated.